This past January 4, 2014, my kids and I headed out of the house to give mom some peace and quiet with our newborn baby (born December 31, 2013). We headed over to The Home Depot on Steamboat Parkway in Reno, Nevada. 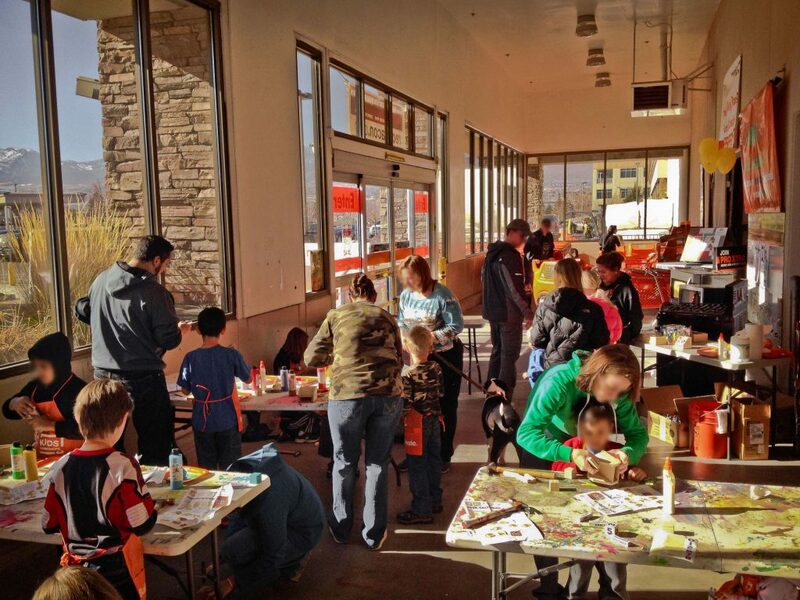 We knew, after walking into one earlier in the 2013 year that every month on the first Saturday, The Home Depot puts on a free Kids Workshop. My kids are always on the lookout for some adventure when it comes to building something or doing crafts, so we decided this month was a good opportunity to attend. “The free kids Workshops at The Home Depot are great for 5- to 12-year-olds, and they teach children do-it-yourself skills and tool safety and at the same time they help to instill a sense of accomplishment.” – The Home Depot Website Free kids Workshops at The Home Depot are a great opportunity to help your child explore the use of tools like hammers and nails as well as paint their creation using their own imagination and style. 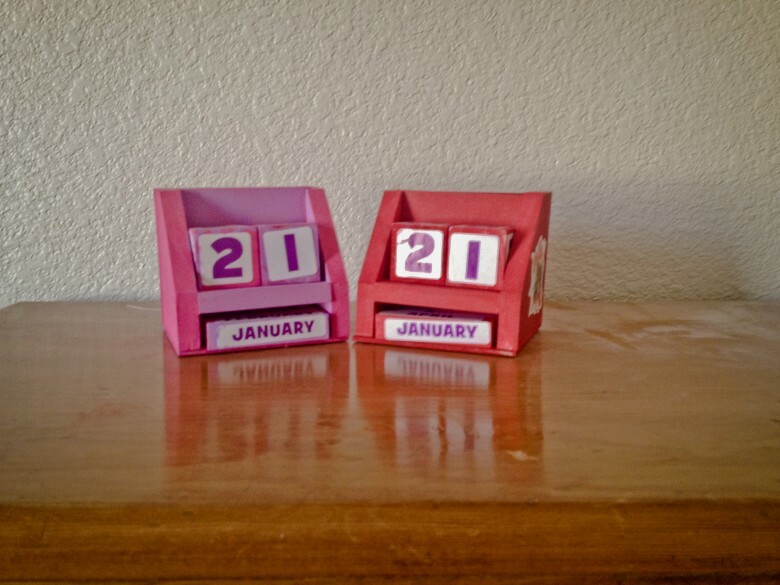 On this particular Saturday, we built a desk calendar, the kind that are made of wood that you would manyally turn the numbered block to the correct number to match the date. The kids, all month, have been turning the numbers each day to keep track of the date themselves. They really enjoy knowing what day of the month it is. 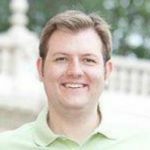 Now, my daughter is 5 years-old and my son is 3 years-old and the free kids Workshops at The Home Depot are designed for kids between the ages of 5-12 years-old. However, with my help, my son had a wonderful time. I did all the hammering and he did all of the painting. 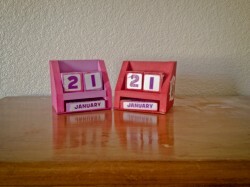 He really likes red, so he painted his desk calendar pieces to his heart’s content. However, he missed a few spots, so I helped him fill them in. My daughter chose pink and purple. Together, their craft/workshop creations turned out better than we could have hoped. Note: The Home Depot staff provide snacks and drinks to the little ones who attend and quantities are limited in both the craft itself and the snacks/drinks, so it is best to arrive near the start time if you hope to participate in that month’s workshop or you can sign up online. 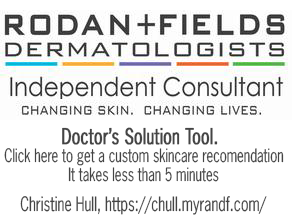 Please be sure to take a look at this blog post to learn more. 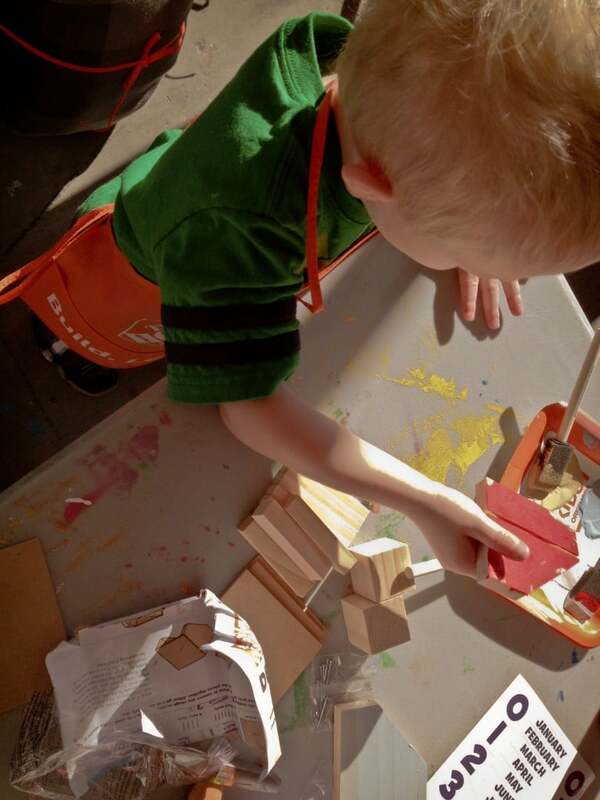 Overall, our kids have never had a bad experience at one of these free kids Workshops at The Home Depot and you are sure to have a amazing experience when you attend. We also want to mention that Lowe’s Home Improvement store also hosts a similar event that is free for kids to attend, but they are intermittent in their choice of dates. We will follow up with a post about their free kids workshops in the future, so don’t forget to check back later for a post about the Lowe’s workshops. 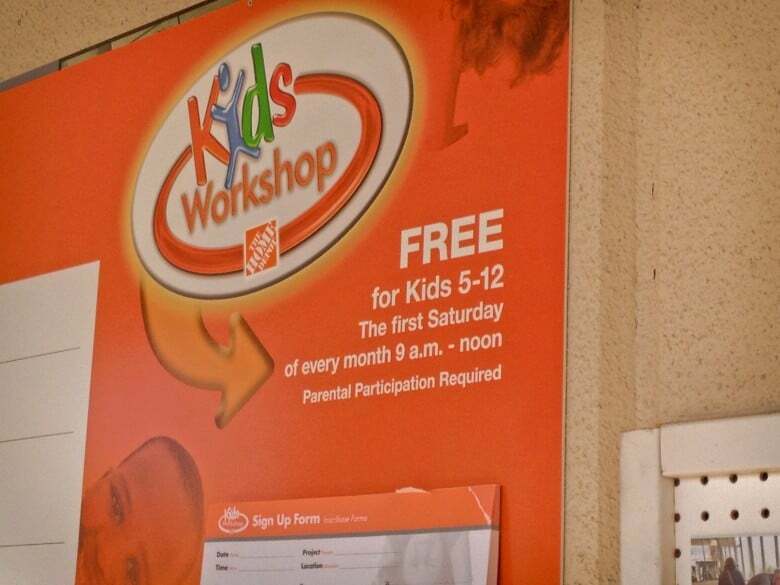 What: Free kids Workshops at The Home Depot. When: The first Saturday of the month.Need to know: Kids Workshops are designed for 5-12 year-old children with adult supervision. The Home Depot can be dangerous for unsupervised kids, so please look out for them at all times while you are in the store with them. Extra Extra: These Kids Workshops at The Home Depot are free to the public and you can often come without preregistering. You can get free snacks and drinks while attending free kids Workshops at The Home Depot and supplies like aprons for your kids to wear, kid-sized hammers, etc. are available throughout the project, so if there is paint, the aprons can protect your kids’ clothes; mostly. However, unlike the Lowe’s workshops, The Home Depot does not supply safety goggles, so if you have some at home, please bring them with you or purchase some inside the store. 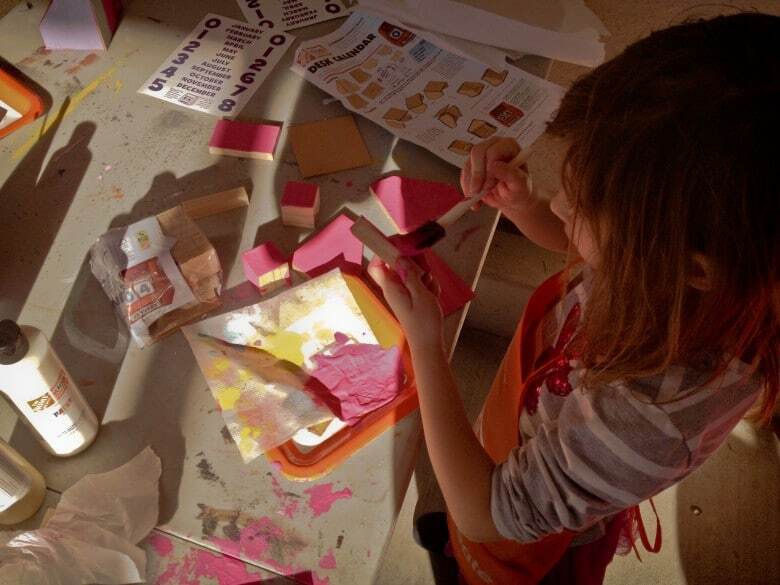 Also, check The Home Depot blog for more ideas on arts and crafts to do with your kids.